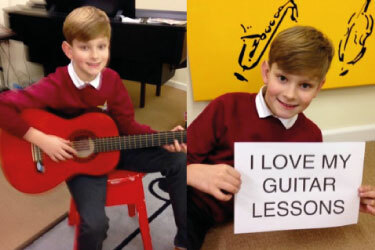 I am a friendly, experienced teacher of violin, piano, keyboard, ukulele, guitar and recorder. A high standard of tuition is offered, but it is of paramount importance to me that music is fun. 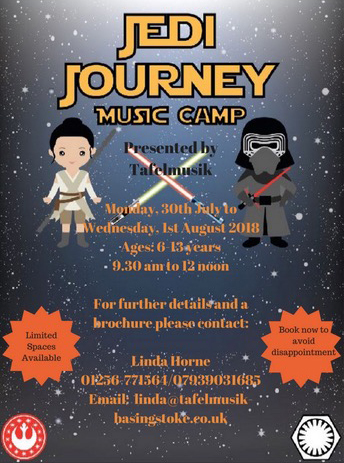 The atmosphere is friendly and informal and pupils are encouraged to take music examinations although those who wish to play ‘just for fun’ are also welcome. Whether you are a beginner or re-starter, playing for fun, or working towards an exam, I can help you achieve your musical goals. Both children and adults are welcome. I am a member of the ISM, ESTA, an accredited Violinbabies teacher, and licensed KiddyKeys teacher. During lessons, technology is used alongside more traditional methods of teaching. 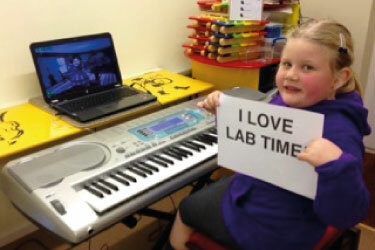 Creative activities such as composing and improvising are introduced right from the start and all lessons have an element of ‘lab’ time. This is time spent away from the instrument and concepts are reinforced with the use of the iPad, PC, floor games, etc. 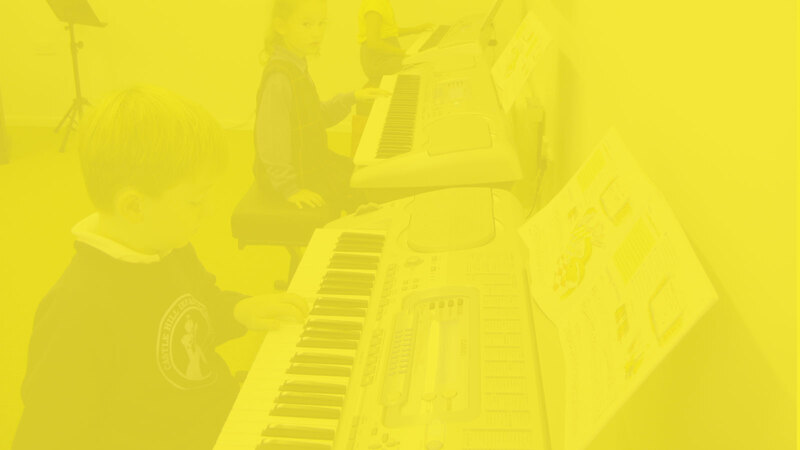 All instrumental pupils also have access to the Charanga Digital Learning website. 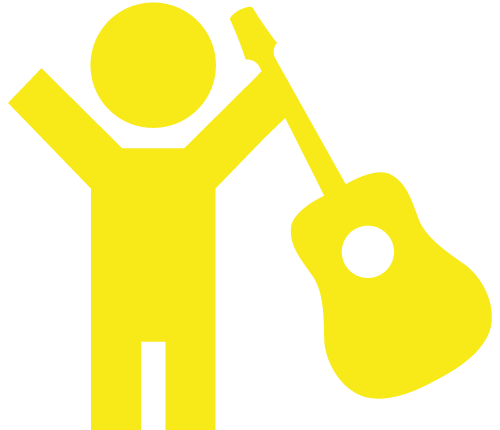 This site offers a great way to practise your instrument online. There are lots of activities as well as games and quizzes and special rewards to unlock. In the early stages of learning, charts and stickers are used to help make music practice fun and to encourage achievement. As pupils progress, CDs are made of their achievements and recordings and videos are sent home regularly. All individual lessons can be taken in my home studio or over Skype/FaceTime. 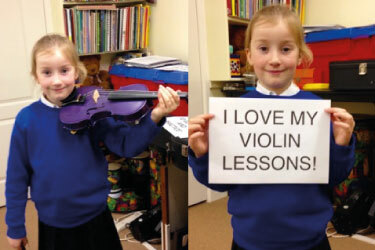 Violins start in small sizes so young children are able to learn to play. Reading music is gradually introduced as the child establishes reading and writing skills together with aural sophistication. Violinbabies children learn to play the violin in a happy, relaxed atmosphere. They compose their own melodies, and advance towards reading conventional music notation in a natural progression, but at a much earlier age than is normal - some even before they can read! This is one of the most popular instruments, but in many ways the hardest to learn because it involves so much at once. There is a large amount of music for all styles in piano and keyboard. 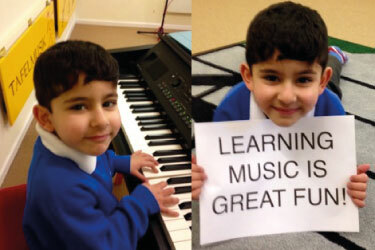 A 5-6 year old who is grasping reading and writing skills will be greatly assisted by learning music/piano. This is great for budding rock stars! Learning is hard but enjoyable. There is a distinction in classical, jazz/blues, Spanish and rock guitar. I suggest starting with the basic acoustic guitar and allowing interest to develop. Many younger children begin on the recorder. It is good for little fingers to play and they can make a reasonable sound quite quickly, learn to read music and enjoy playing their favourite tunes. The ukulele is a great little instrument that has become very popular recently. It is an instrument that is versatile and adaptable. It is inexpensive and relatively easy to learn in the early stages and suitable for all kinds of music. It is an instrument that even small hands can cope with. We all tend to have a long list of apps but are not always sure what to do with them! This is a hands-on course of engaging music projects to help you use apps such as Garageband, MadPad, Loopy HD, Singing Fingers, Explain Everything, Thinglink, QR Codes, Aurasma, Pic Collage, and Drum Machines. 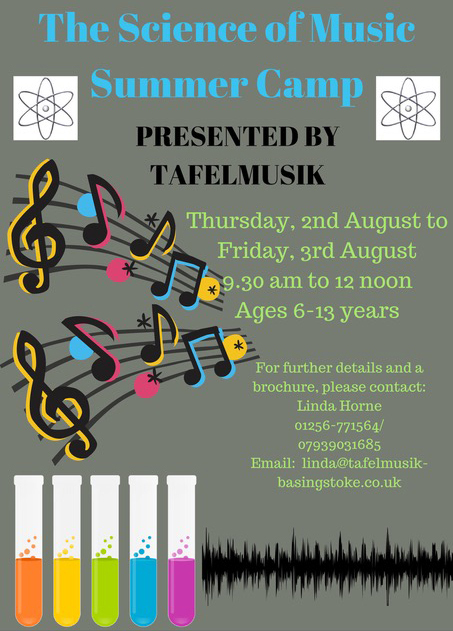 Great fun, with lots of learning for anyone approximately 8 years of age or over!